It might be just over a week before Thanksgiving is upon us but there is still time to refine your table. Thanksgiving is a great opportunity to relish the warm burnt tones of Autumn and the spicy scents of pumpkin pie and mulled cider. Not everyone likes their Thanksgiving to be a lesson from a history book or a trip to grandma’s country cottage but I love this holiday best when it is a mix of the layered textures and colors. Here are some of my favorite ideas for Thanksgiving this year. One more candle project, this time for the main table. 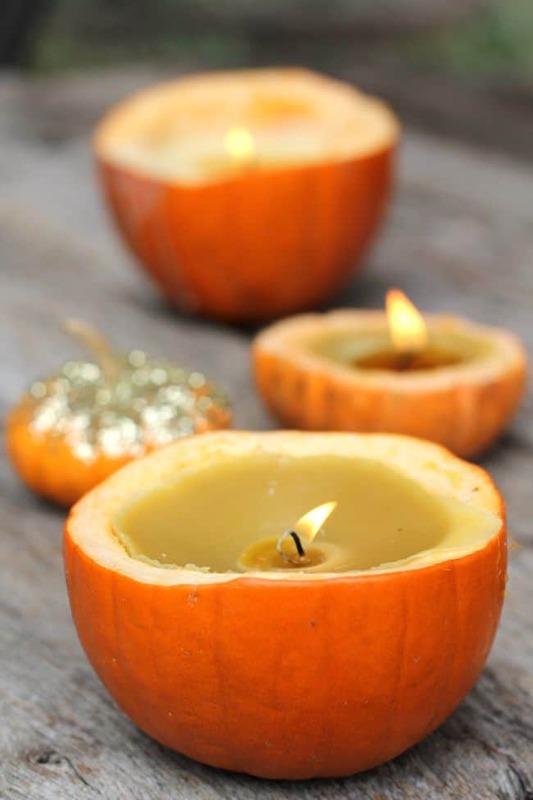 This diy candle holders would look great clustered or scattered about the table. I am really liking the idea of creating enough of these to make sure the whole room is illuminated in candle light. Not only does everyone look better by candlelight but if you opted for the sequin version of these (shown below) the diffused effect would be like a beauty shot for the food as well. The picture below shows the candle holders in some amazing jewel tones but for my table I am thinking metallic. These would be great in copper and brass hues. The picture will take you to the tutorial courtesy of decor8blog. West Elm would look great in leiu of traditional stemware on the table. Switching up your glass options is a great way to add a casual element to your table. This idea goes particularly well with the next item on the list. Instead of a centerpiece this year, be bold and try something that will definitely encourage cross table conversation. I doubt I will be able to talk my mom into it, but I love the idea of a big punch bowl in the middle of the table. Guests can ladle up their own beverages while they eat. 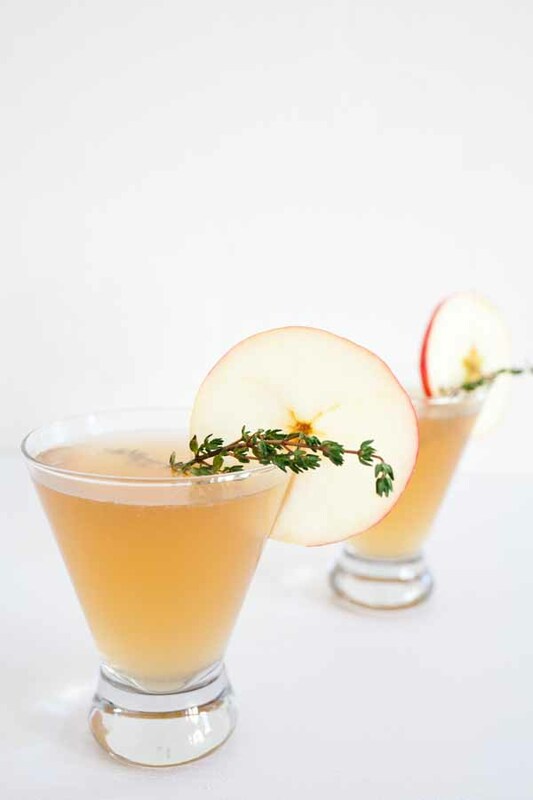 Click the picture below to be taken to a recipe from theglitterguide for a delicious sparking cider rum punch that will be the center of my Thanksgiving table soon. I have definitely got enough sparkle and shine going on for the table at this point. As stated before, I am a fan of mixing texture so these kraft paper placements from oh nmy deer handmades are perfect. They take the disco ball effect of all that metallic down to a subtle shine and allow guests to reflect on the parts of this holiday that can all too easily get swept up in the turkey and stuffing madness. As above, click the photo to be taken to the amazing yet simple tutorial. To further both the layered look of the table and to mix in yet another texture, I love the idea of these embossed velvet place ribbons from DesignSponge. The tutorials on this blog are always incredible and very easy to follow. This is a simply way to provide your guests not only with an idea of where they will be sitting for the meal but also to give them a subtle monogram they can take home and repuprose as they see fit. Click, read, craft! This last idea is a bit expensive but a girl can dream. 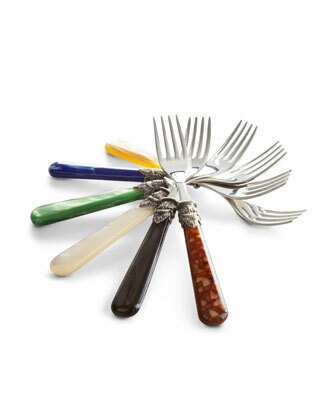 Horchow’s Napoleon flatware set looks amazing in all the offered designs. Right now, I am drawn toward the ivory colored handles. They would be reusable for so many different occasions. I can imagine these nestled on top of a linen napkin, the smooth handles adding yet another texture. Amaze.